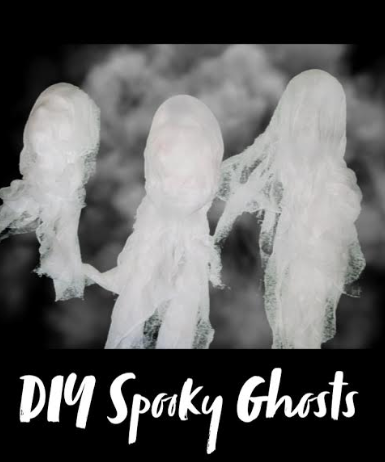 This super spooky ghost DIY is the perfect addition to your Halloween party. 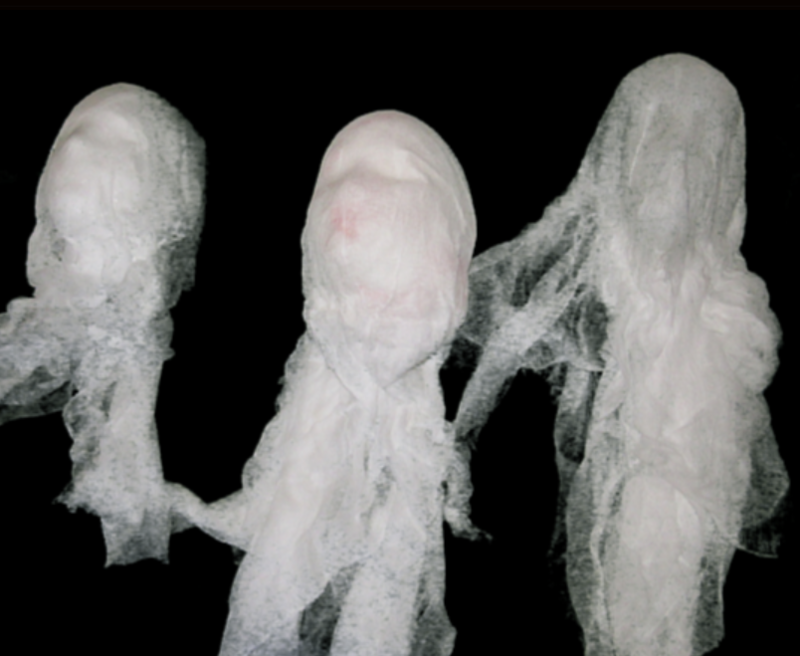 This project is wicked easy and the adds the perfect amount of fright to any party. This DIY was inspired by Martha Stewart’s Cheesecloth Spirits, with a few alterations. The alterations you ask? Well, to start – I did this DIY on a budget. 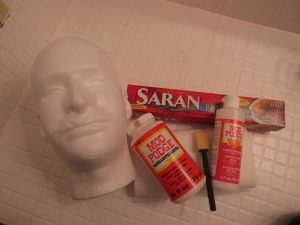 Styrofoam heads are $7.99 a piece, which isn’t that much – but that’s money that I could push towards other party supplies. I’m frugal – but can I say? Not to mention – they look pretty spooky without the base AND you can add lights underneath to create a spooky effect. 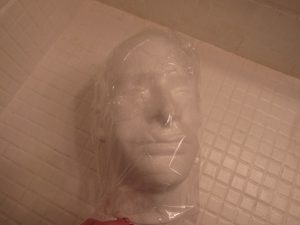 Wrap the head in saran wrap. 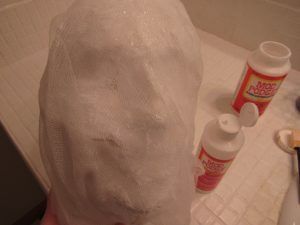 Coat the saran wrapped head in a layer of regular Mod Podge with your foam brush. 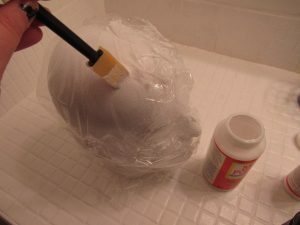 Coat in the Stiffy with your foam brush and allow to dry. Repeat steps three and four 4-5 times. 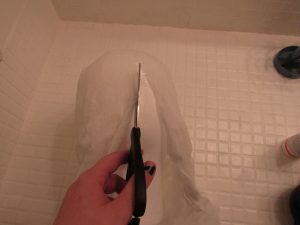 Once dry, cut a slit into the back of the head. Hang with fishing line and add glow-sticks or lights underneath. This will look incredible under black lights.